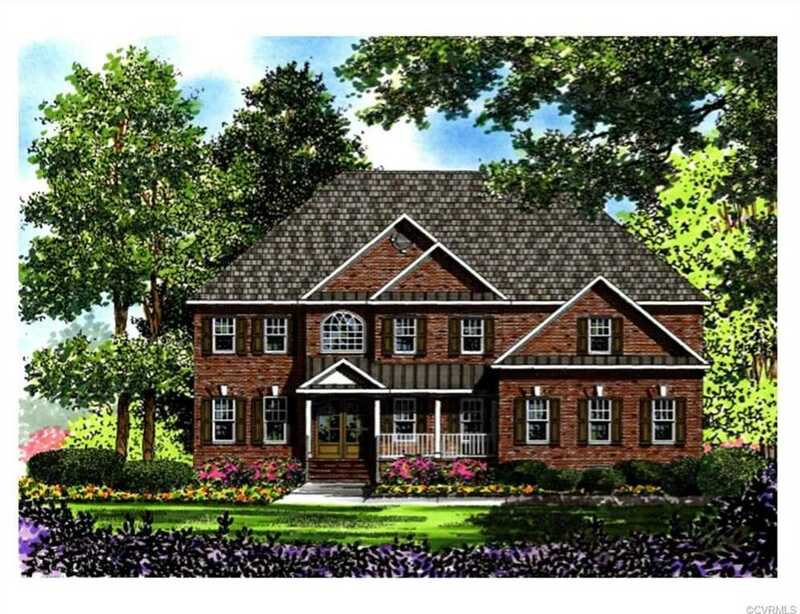 Courtesy of Richmond Real Estate Assoc Ltd.
NEW CONSTRUCTION on 1 ACRE + homesite in Henrico! This is a rare find – located in the Estates of Stonehurst off Nuckols rd near Pouncey Tract. Bradford Custom Homes is proud to offer this luxurious 5 bedroom, 6 bath home. Nestled on a private 1 + acre lot, this home boasts 5,366 square feet of awesome living space full of upgrades and exquisite trim detail. Stunning Mahogany double door entrance to two story foyer. Several Flex spaces throughout. First floor guest suite, designer kitchen with gorgeous morning room. Enjoy the serenity of the outdoors relaxing on your fabulous screened porch. Oversized 3 car garage. Low Maintenance with full Sod and Irrigation. Stonehurst Estates Terrace is a gently winding roadway designed to give you a relaxed country-life feeling. Hurry while there is still time to customize and make your own selections! Please, send me more information on this property: MLS# 1909709 – $997,275 – 5720 Stonehurst Estates Terrace, Glen Allen, VA 23059. I would like to schedule a showing appointment for this property: MLS# 1909709 – $997,275 – 5720 Stonehurst Estates Terrace, Glen Allen, VA 23059.